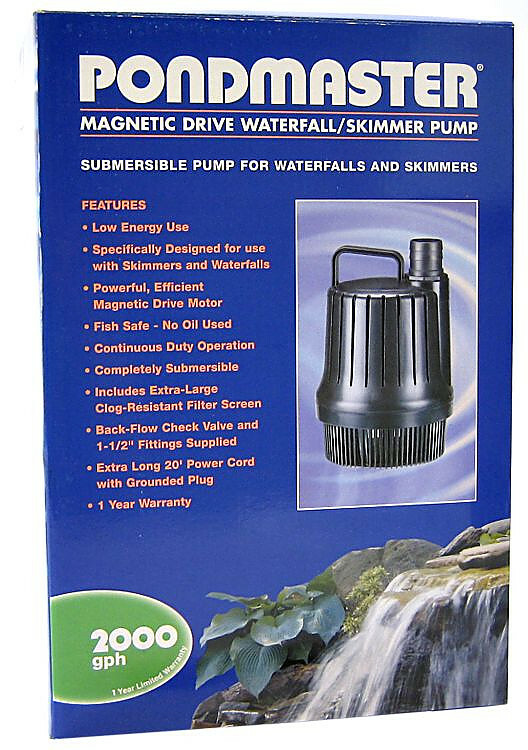 These Supreme Mag-Drive Waterfall Pumps are high capacity pumps designed to utilize with skimmers and waterfalls in large ponds. 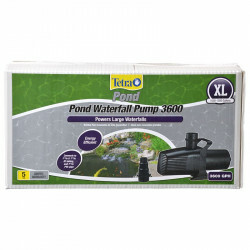 These Waterfall pumps are submersible and include an over sized clog resistant screen. The size pump you need depends on the flow you want, usually measured in gallons per hour, or gph, and the height that you want to bring the water up to, measured in feet and called the head height or Static Head. Good price, quick shipping and was as advertised, thanks! This is, to me, the best pump for the money I've purchased. Maintenance free, with the exception of keeping it clean, of course, I will get 3 to 4 seasons out of it. Lifts my water 3 to 4 feet with out a problem and my pond (1700 gal) is kept crystal clear. Before this pump, I've bought pumps three times the cost and got the same life out of them. This is my 4th Pondmaster 2000 gal. pump. My pond is about 1300 gallons and this pump creates a couple nice waterfalls in my system. It's a nice pump at a reasonable price. It also has a nice size strainer at the bottom which is easy to clean if it gets clogged. This is a decent pump. Our pond is not very clean and requires cleaning the filter weekly. I had one of these pumps previously for 4 years and it worked well. 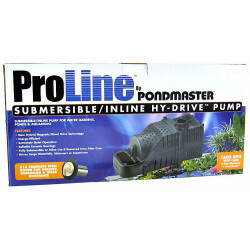 Pond Masters are great pumps. 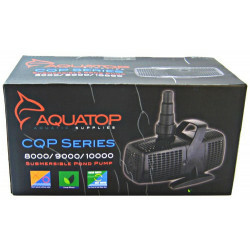 I have 2 of these of pumps a 2000 and this 3000 gph. I have had no problems with it. The pond is not the cleanest and these pumps sit on the bottom of the pond. I would recommend these pumps. 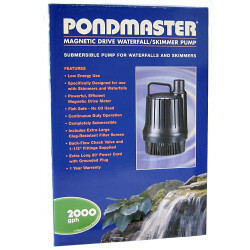 We've had nothing but good luck with our Pondmaster pump. After years of use it's time to replace our pump and we're going back to Pondmaster.